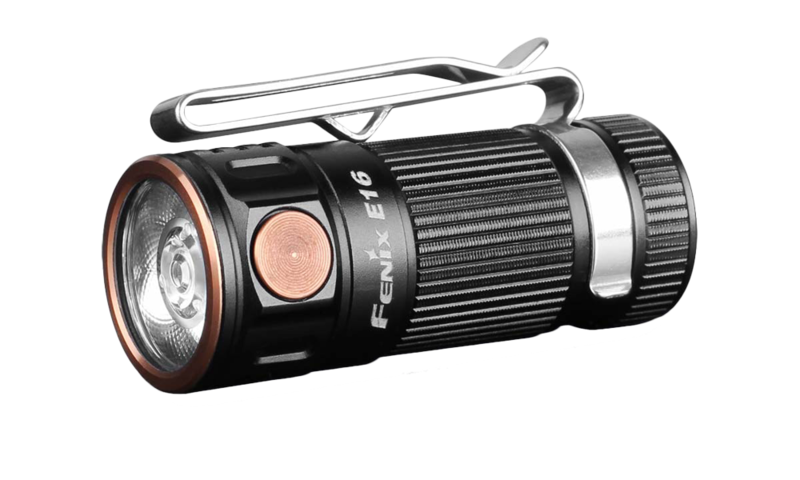 The E16 flashlight is designed with the extreme compact, EDC in mind and is only 2 inches in length with a 0.7 inch round body. 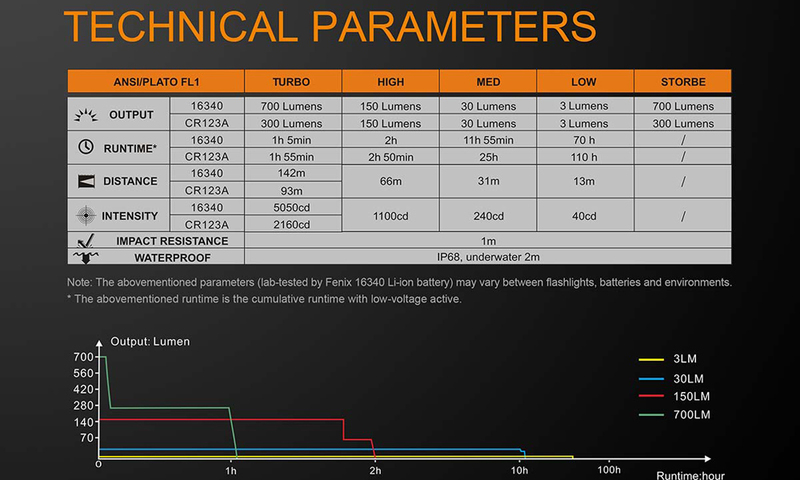 This flashlight is powered by a single 16340 Li-ion battery which delivers an amazing 700 lumens from its CREE XP-L Hi Neutral LED. A CR123A lithium battery can be used as a backup (300 max lumens). This flashlight looks beautiful, but it’s tough exterior is made of durable high-strength aluminum that is built to withstand the daily abuse every day carry items endure. Additional features include four output levels, strobe, two-way pocket/body clip, magnetic tail, IP68 water/dustproof, two forms of lockout protection, and anti-roll/candle tail-stand capabilities.